If you’re looking for a move-in ready downtown Charleston condo, our featured listing at 34 Montagu Street B may be the ideal fit. 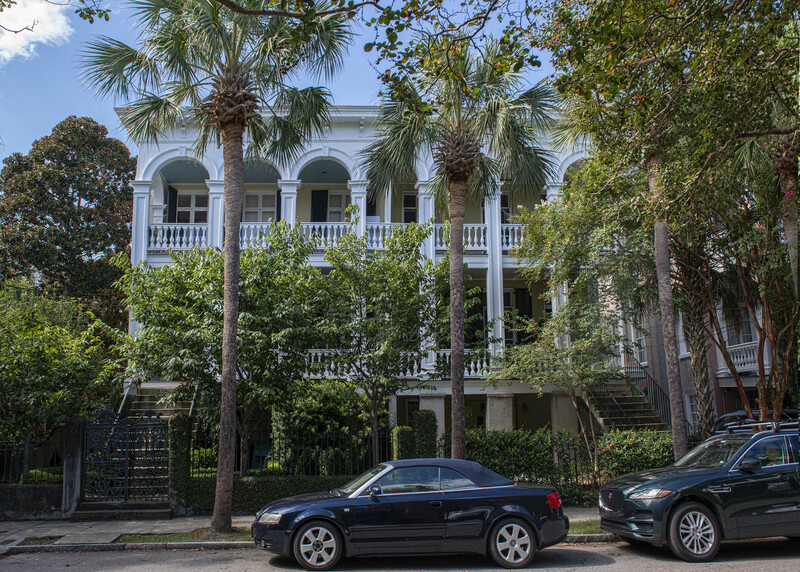 The two bedroom, two bath condo is located in Harleston Village and within walking distance of Colonial Lake, Marion Square, MUSC, College of Charleston and King Street shops and restaurants. The historic building was constructed in 1854 and designed by the architect Edward C Jones, who has several of his works on the U.S. National Register of Historic Places. It is reminiscent of an Italian style villa and features an original wrought iron gate and brick lined pathways. 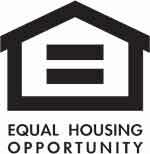 The flat is located on the first floor of the home and features a covered front porch. 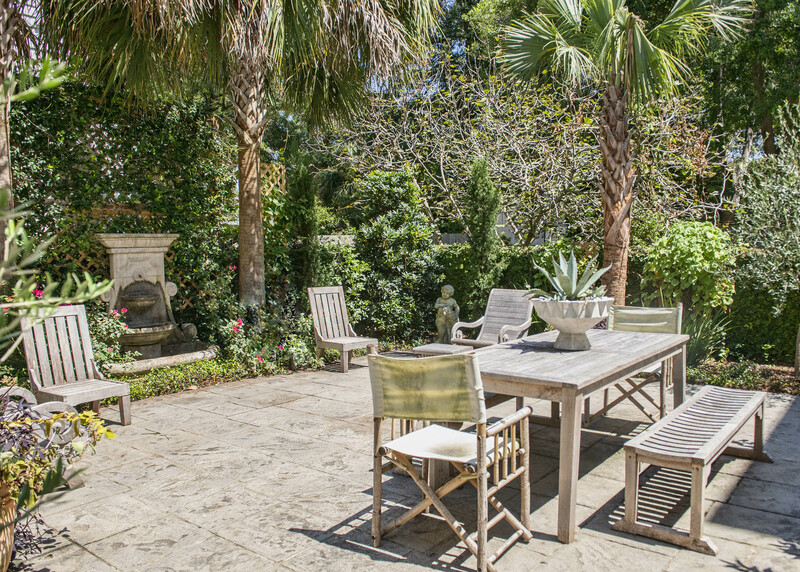 In the back of the home, there is a shared courtyard with beautiful gardens, palmetto trees and a dining patio. An entry foyer, accented with chevron floors, welcomes you into the home. Neutral paint, white floors and stylish finishes are some of the updates in the home which pair nicely with original features including fireplaces and exposed brick walls. 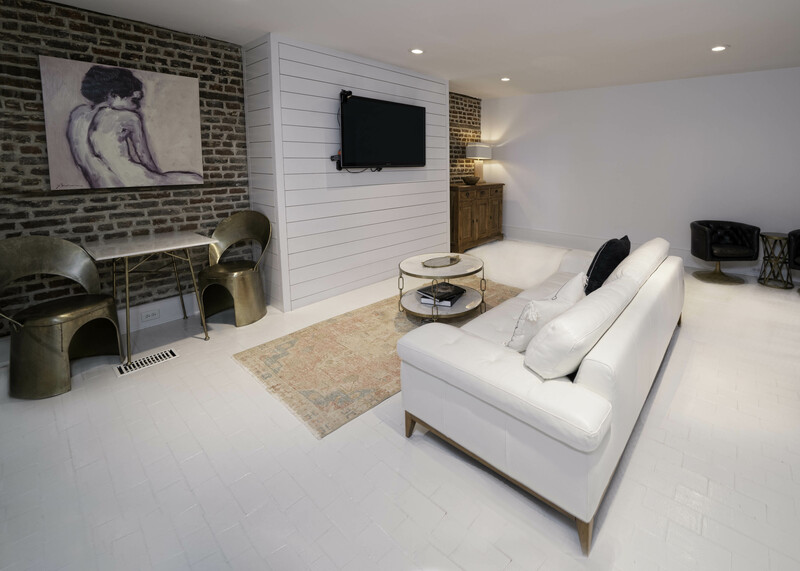 The living room is anchored by a shiplap and exposed brick wall and also has a glass door opening to the outside living spaces. 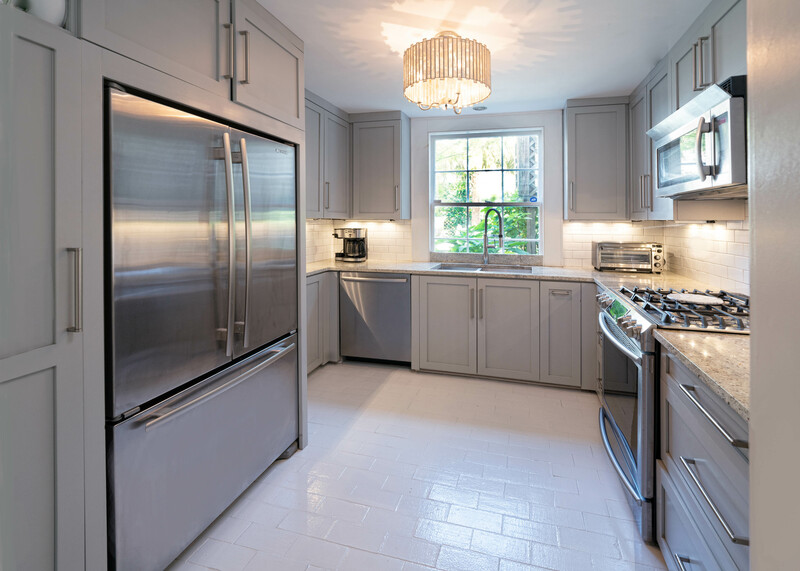 Gray cabinets, stainless appliances and granite counters define the well-designed kitchen. 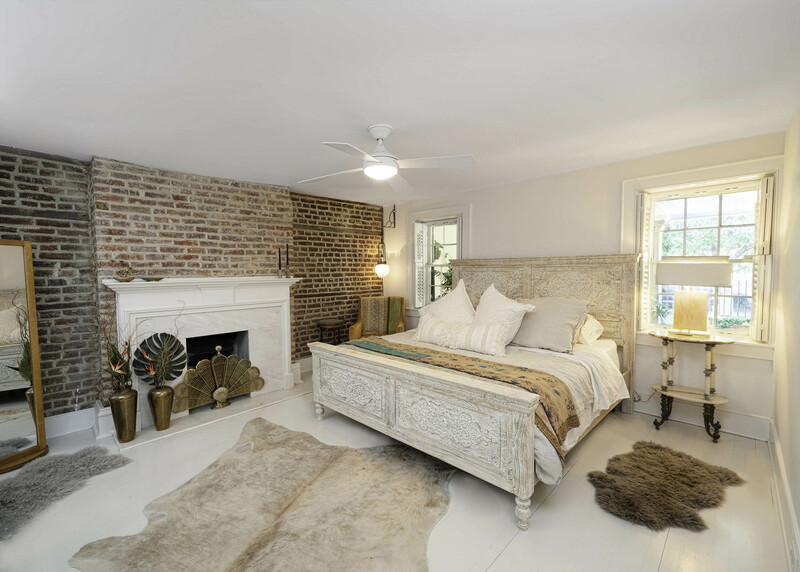 The spacious master bedroom features two windows, a fireplace and a wall of exposed brick. 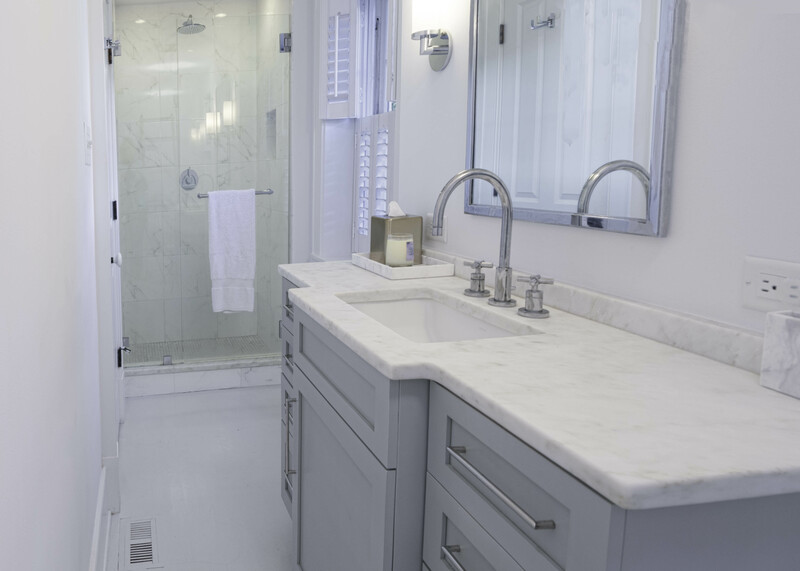 The en suite bath features a gray, marble-topped vanity, chrome fixtures and a white marble tiled shower. The other bedroom is also well-sized and there is an additional full bath with a marble shower and large marble vanity. 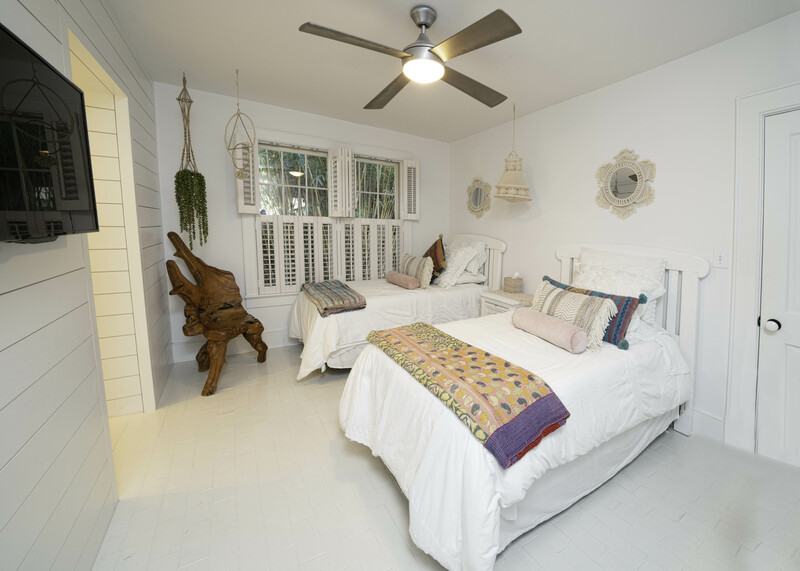 Both of the baths have rain shower heads and both bedrooms have large closets. 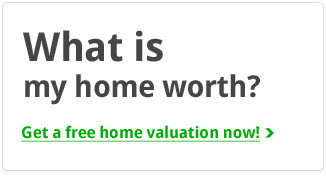 For more information on this listing or to setup a private showing, please contact listing agent Anna Gruenloh.